For a brief time, Partner/Spouse and I lived in Oklahoma, in one of the suburbs of OKC. We stayed less than a year. The tornados were too much to handle. But during the time we were there, I got started into my gardening project. I’ve always had my peppermint, but I added cilantro, basil, dill, sage, and on a whim, a miniature lime tree. We actually got several limes started, but the terribly bad winds and storms took them out before they ripened. I think we might have got to enjoy one or two. But it reawakened a fondness for the fruit that, for me, had been long buried. Growing up in Arizona, we were in the middle of a citrus area. There were every kind of citrus tree imaginable, and we made full use of them. The favored trees were the oranges and tangerines. Grapefruit was popular. Lemons were everywhere, even our backyard. Limes were around, but not as prevalent. Limes are smaller than lemons, and since they’re naturally green, it’s a little more difficult to tell when they’re ripe. But the flavor is so much better. In cooking, the lime adds a pungent back flavor that doesn’t overpower, but adds a depth other citrus can’t. First, it’s spectacular in drinks. Right? 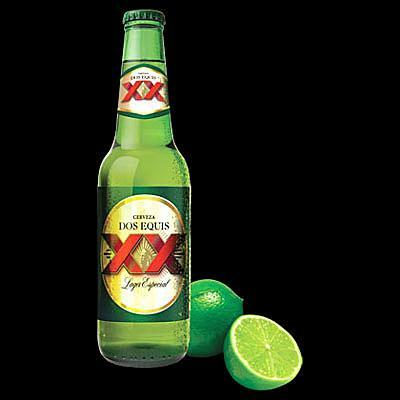 When was the last Dos Equis you drank without a lime wedge. And who hasn’t hummed along with “Jose Cuervo you are a friend of mine. I like to taste you with a little salt and lime”? Limeade is a thirst quencher to beat all others, as far as I’m concerned. Even Sprite used to advertise its “lemon-lime” flavor. The best is a Mojito! It’s five ingredients. 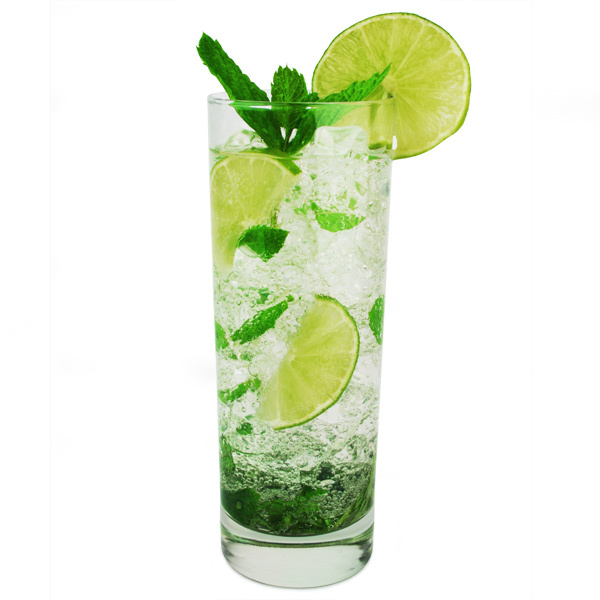 In a tall glass, muddle together a tablespoon of sugar with several mint leaves. Add a shot of white rum and a shot of lime juice. Add some ice, then fill with sparkling water. Put a few lime slices in for garnish. Yum! 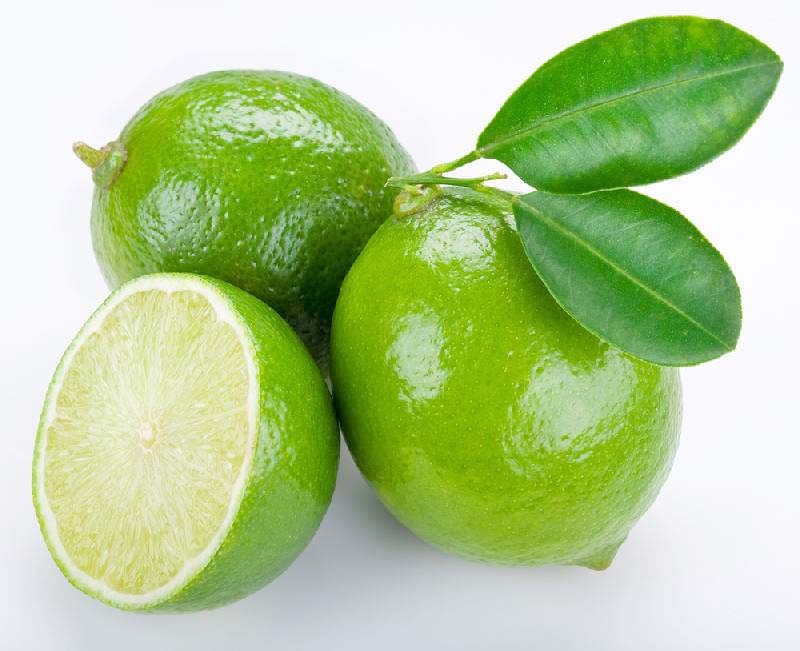 Lime is also used in a lot of Hispanic cooking. Last night, we had baked chicken that had been marinating in lime and several spices plus hot peppers. It was so good. I forgot to take pictures but it looked as good as it tasted. 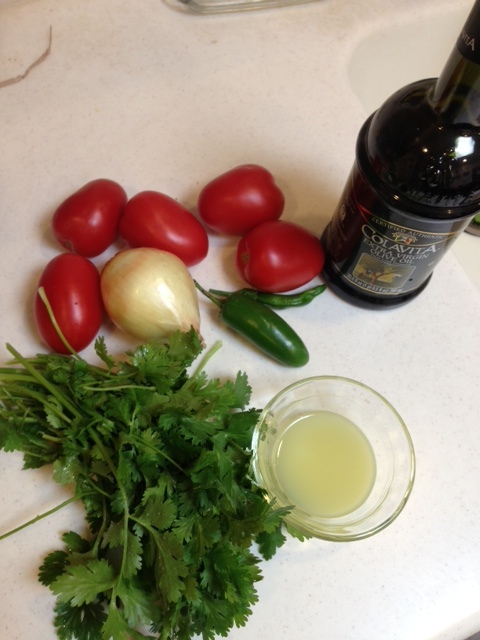 My favorite lime recipe for Hispanic cooking has got to be Salsa Fresca. So simple and so good. It starts with just a few ingredients. Cilantro, ripe tomatoes, onion, hot peppers, olive oil, lime juice, and salt. De-seed the tomatoes, then dice them finely. Place in a fine mesh strainer and sprinkle with a little salt. Let them drain for several minutes. Dice the onion and peppers finely and put in a medium size bowl. If you want the salsa hot, leave the pepper seeds in. Otherwise, take them out and toss them. When the tomatoes are finished draining, add them to the bowl, and tear the cilantro into small pieces into the bowl. Stir gently then add equal amounts of lime juice and olive oil. In the example above, its about a tablespoon each. Mix well, add more salt if needed, then chill. This can be used as a dip for fresh tortilla chips, added to tacos, used as a garnish for a hundred different dishes. It won’t last long. The lime juice makes it sing! The area where limes absolutely shine is desserts. Who hasn’t had this? Key Lime Pie! 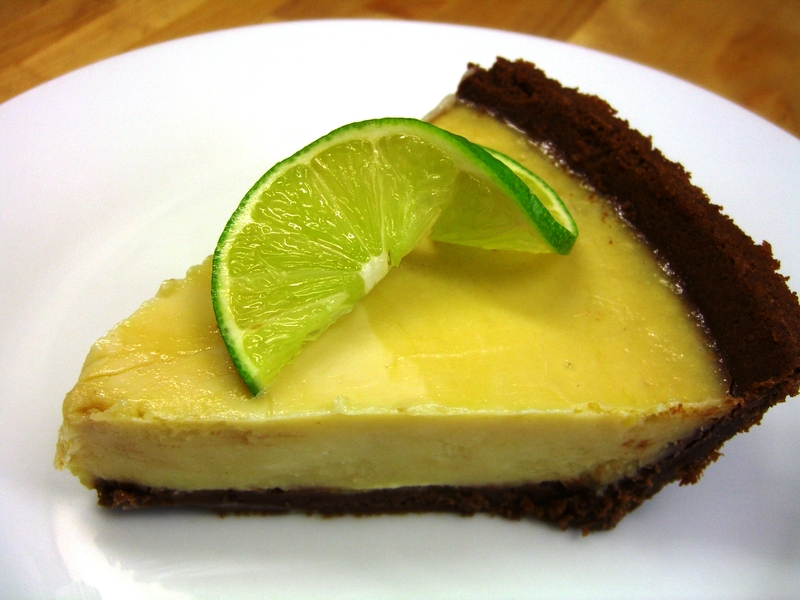 Kenny Chesney even recorded a song about Key Lime Pie. Most people think that limes and Key Limes are the same thing, but they aren’t. Real Key Limes are much smaller than regular limes, about the size of a golf ball, and originally could be found in the Florida keys. Now, they’re grown all over, but don’t be fooled. A ripe Key Lime is very small in relation to other limes. Some nefarious stores will try to pass small limes off as Key Limes, but Key Limes have a subtly different flavor. Key Lime Pie, and regular Lime Pie are made the same way. One half cup of lime juice (or Key Lime juice) that’s been strained is beaten together with 5 egg yolks and one 14 oz can of sweetened condensed milk. That’s poured into a graham cracker crust and baked for 15-20 minutes in a 375 degree oven. It thickens as it cools. Sometimes, whipped cream is added as a garnish. I could eat a whole pie in one sitting. 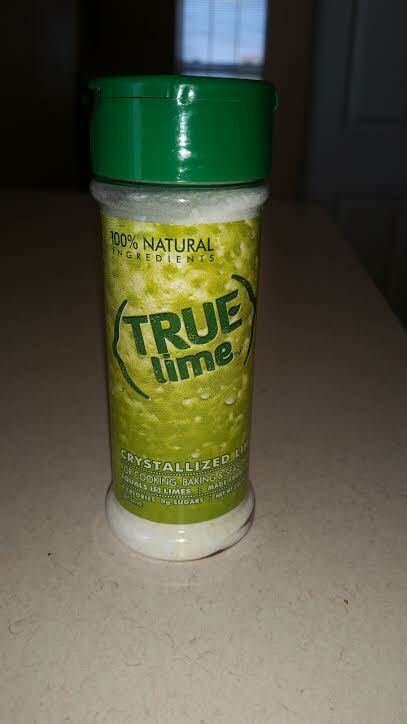 But there are other desserts and sweets that use lime. Try adding the finely chopped zest of one lime and 3 tablespoons of lime juice that’s been strained to sugar cookies. You may have to adjust the flour a bit so they aren’t too goopy. 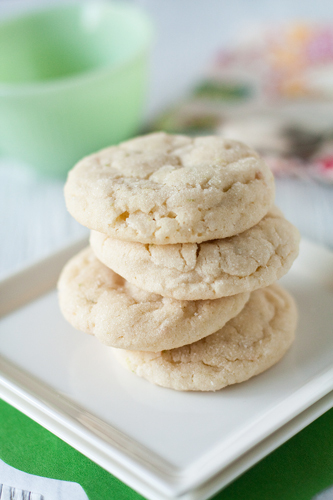 You’ll get the best tasting lime sugar cookies ever! Substitute lime juice for lemon in pound cake. It’s a winner. A few nights ago, I was making fried cabbage for dinner. It’s easy enough to do. I thinly sliced half an onion. Then I rough chopped half a head of cabbage. I heated olive oil in a large skillet and tossed in the onion and cabbage. I stirred everything around to coat it all with oil, then left it to sit for a few minutes to get good scorch marks. After that, I stirred once every minute until the cabbage was soft and ready to eat. I turned the heat off, and added a tablespoon of butter and tossed to coat well. Then on a whim, rather than adding salt and pepper like I normally would, I sprinkled the whole mess with a light coating of True Lime. I stirred once more to blend the flavors, then served it with whatever else we were having that night. 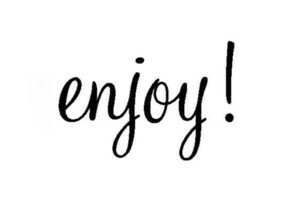 Our taste buds sat up and took notice. It stayed tangy and good through the whole dish. At no point did I say to myself, okay I’ve had enough.